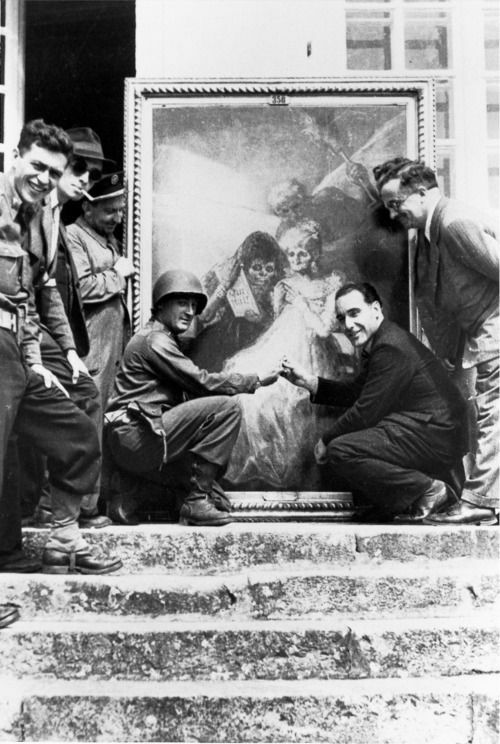 The Monuments Men find Goya’s Time of the Old Women. Photo from Pinterest. Part of the 7907 pieces of looted art stored at the Rijksmuseum (April 20, 1950). Courtesy of Ilibrariana. I am indebted to Mystery Thriller Week for publishing this article on their blog. You can read the original version here. And don’t forget to sign up to become a MTW Super Reader while you are there!